BluMeadows was gifted by God and the Earth Mother. Born in BlackHawk County, Iowa from proud Black and Indian roots. He discovered the magic of music through his voice and guitar, which he picked up at an early age and has been determined to follow an unbeaten path. Listening, learning and playing with all of his timbre he ventured out into rock and roll as a teenager touring with Rudy Hunter and the Fabulous Tones, a show group. BluMeadows’ appetite blossomed but he was summoned by his mother to finish his formal education in Seattle where she had moved. When he had completed the mandatory chores through school, he needed to specialize. He attended Cornish Institute of Performing Arts where he studied musical theory and composition. It was a blessed time where BluMeadows combined what was in his Heart with what was in his Head…. so he could reveal what was in his Soul. BluMeadows entered the music scene in Seattle as a precocious musician with a lot to offer. He could play Bass, Guitar, Sing, and Write. He performed throughout the North West with “Dave Lewis”, “Sundance”, “Obo Addy” and several other groups. He also formed his own groups “Psycotazia” and “8 Lbs. & 9 Oz.”. His knowledge grew but he still needed more. He decided to move to Los Angeles in 1988 and found comfort with artists that appreciated his talents and heritage. He worked and performed with “Bruce Hornsby” and “Branford Marsallis”. 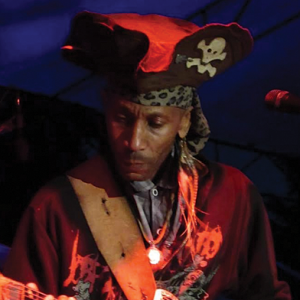 He worked with “Eddie Hazel” (the great “Funkadelic” guitarist) He also worked with “Joe Higgs” (The Godfather Of Reggae) performing and recording. Also, BluMeadows did session work at “Paramount Records”, “MCA Records” and several secondary labels. In the end, BluMeadows returned to Seattle where he felt his fertility would seed. To list the musicians BluMeadows has performed with begs the point. To talk about the past is moot. It’s the dawn of a new day. BluMeadows listens to the spirits from all over the world that are yearning to be heard. From those distant voices he draws inspiration, creates, writes and crafts songs. The world needs to hear BluMeadows’ music. Open your heart, your mind and your soul. Listen…..